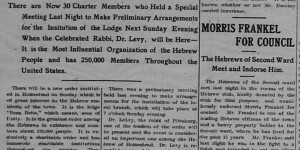 There were two B’nai B’rith lodges during Homestead’s history. The first, #586, was organized 12/11/1904 and seems to have faded to inactivity by the 30s. (A list of of all the B’nai B’rith lodges in District 3 from 1936 does not mention Homestead at all.) 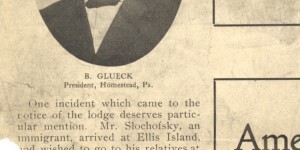 The second, #1454, later known at the Melvin Frank Lodge, was installed March 9, 1941, and became inactive in the early 1950s. These were men’s lodges. 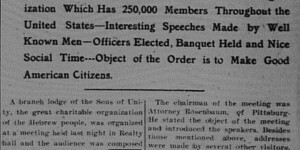 12/8/1904: It’s the Sons of Unity! 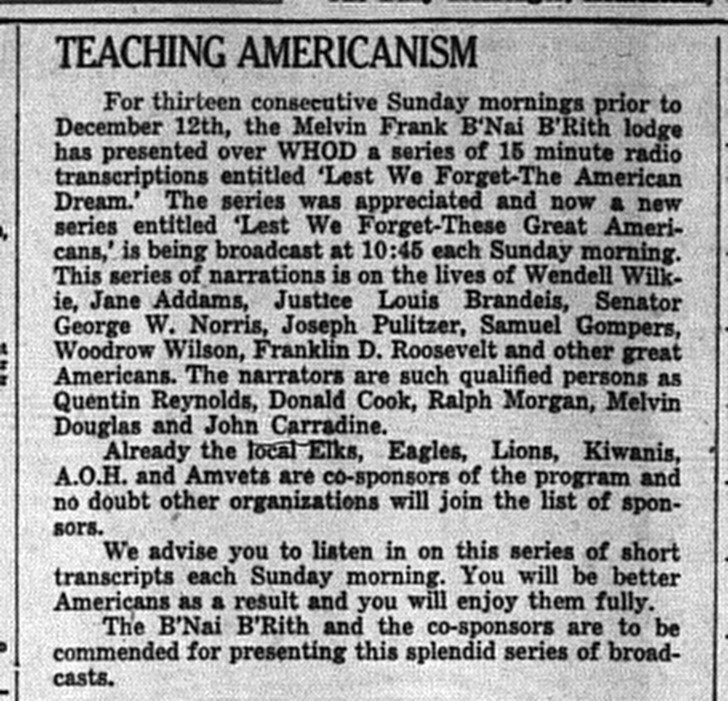 12/12/1904: More Sons of Unity! 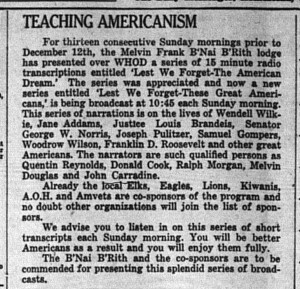 In the 1940s they sponsored a patriotic radio show that came in for much local praise. No records of either lodge survive. The 1913 IOBB constitution and an early IOBB Souvenir Book in Box 9, Folder 7 (below) are the only B’nai B’rith-related records donated to the Rauh Jewish Archives. Infrequently the later lodge is mentioned in other congregational records. 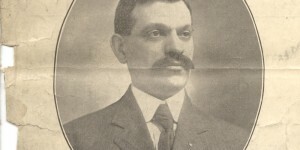 Events for both are mentioned in Pittsburgh’s Jewish newspapers and Homestead’s local paper.